Easily removes lime, calcium, and rust stains caused by the natural minerals in your water. 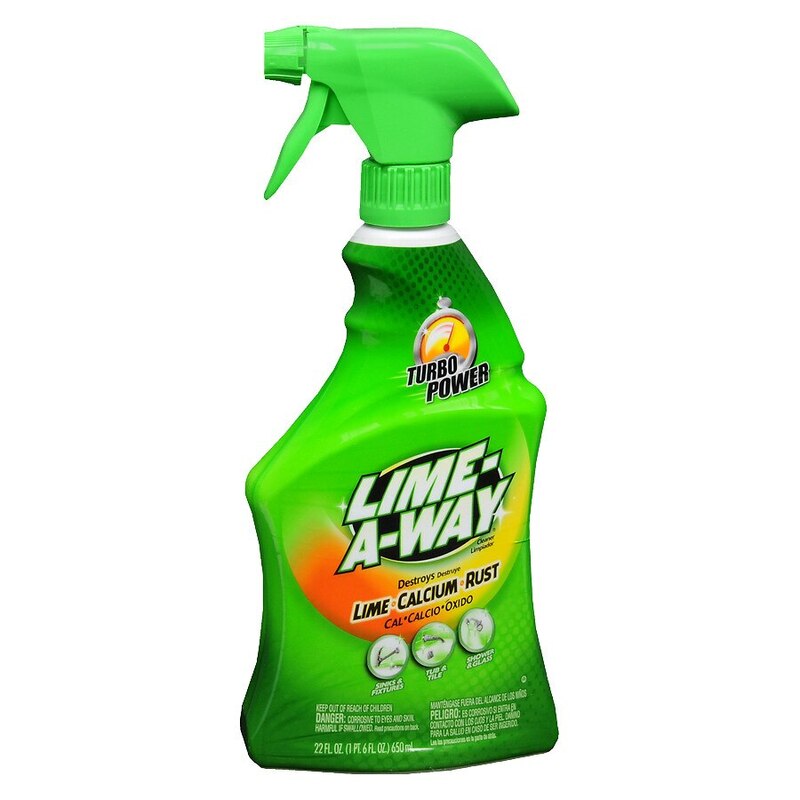 It effectively cleans the toughest hard water build-up so that surfaces stay cleaner longer. KEEP OUT OF REACH OF CHILDREN CORROSIVE. HARMFUL IF SWALLOWED. Causes eye and skin damage. DO NOT get in eyes, on skin or on clothing. DO NOT ingest. DO NOT breathe vapor or mist. DO NOT mix with bleach or other household chemicals as harmful fumes may result. Handle with care, wear rubber gloves and eye protection. Use in well-ventilated areas. Contains sulfamic acid. FIRST AID: If in eyes, IMMEDIATELY rinse eyes thoroughly with water. Remove any contact lenses and continue rinsing eyes for at least 15 minutes. Get IMMEDIATE medical attention. If on skin, IMMEDIATELY was with soap and water. Get IMMEDIATE medical attention. If swallowed, rinse mouth and drink a glass of water. Call a physician or Poison Control Center. If inhaled, move person to fresh air..